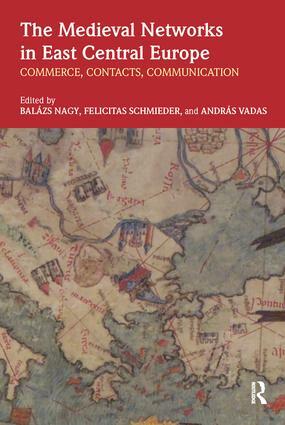 Medieval Networks in East Central Europe explores the economic, cultural, and religious forms of contact between East Central Europe and the surrounding world in the eight to the fifteenth century. The sixteen chapters are grouped into four thematic parts: the first deals with the problem of the region as a zone between major power centers; the second provides case studies on the economic and cultural implications of religious ties; the third addresses the problem of trade during the state formation process in the region, and the final part looks at the inter- and intraregional trade in the Late Middle Ages. Supported by an extensive range of images, tables, and maps, Medieval Networks in East Central Europe demonstrates and explores the huge significance and international influence that East Central Europe held during the medieval period and is essential reading for scholars and students wishing to understand the integral role that this region played within the processes of the Global Middle Ages. East Central Europe – No Man’s Land or Historical Region? Why Did Dirhams Reach East Central Europe during the Tenth Century?